These rocks - which formed in lake beds - are the best place to seek fossil evidence of life from billions of years ago, researchers say. A new study that sheds light on where fossils might be preserved could aid the search for traces of tiny creatures - known as microbes - on Mars, which it is thought may have supported primitive life forms around four billion years ago. The rocks are much better preserved than those of the same age on Earth, researchers say. This is because Mars is not subject to plate tectonics - the movement of huge rocky slabs that form the crust of some planets - which over time can destroy rocks and fossils inside them. 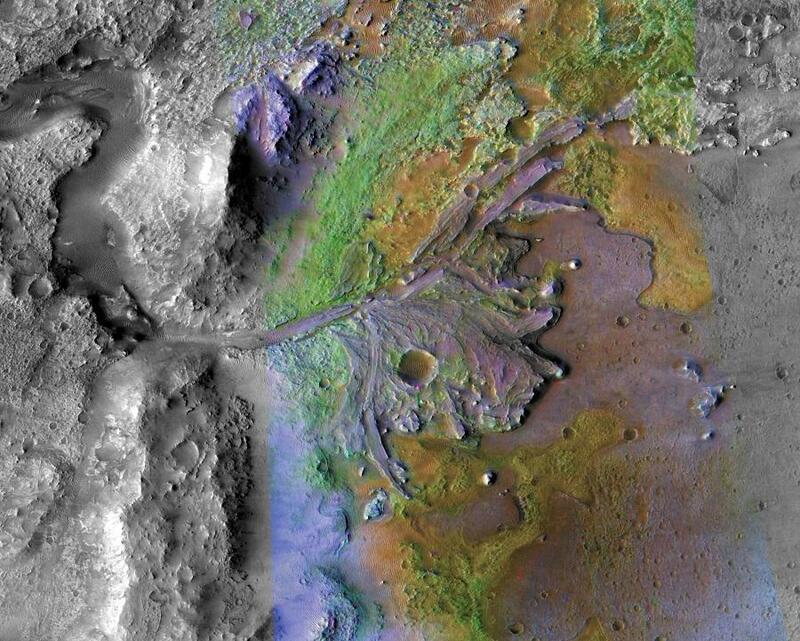 The latest study of Mars rocks - led by a researcher from the University of Edinburgh - could aid in the selection of landing sites for both missions. It could also help to identify the best places to gather rock samples. Dr Sean McMahon, a Marie Sklodowska-Curie fellow in the University of Edinburgh's School of Physics and Astronomy, said: "There are many interesting rock and mineral outcrops on Mars where we would like to search for fossils, but since we can't send rovers to all of them we have tried to prioritise the most promising deposits based on the best available information."